Christina Matthews is Chief Executive Officer of the Western Australian Cricket Association (WACA) and a former Australian cricketer. Named the country’s most capped female Test player and holding the record for the most dismissals by an Australian wicketkeeper, Christina is one of only three women in the world to hold the position of CEO of a first class cricket association. 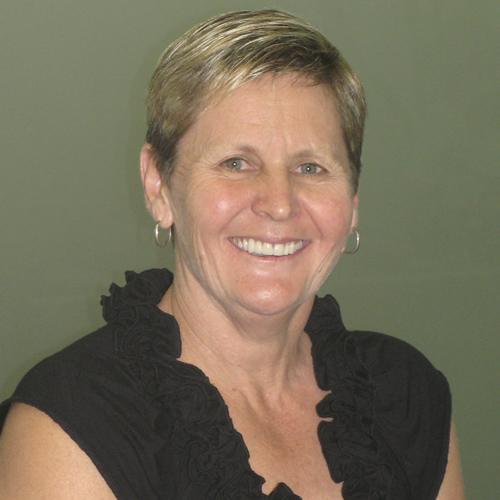 Christina is a well respected voice within the Australian cricket community, with strong leadership qualities and 27 years experience in various management roles within cricket organisations, including seven years as General Manager, Commercial Operations at Cricket NSW and roles in coaching and development. Having represented Victoria, ACT and NSW during her career and a member of the Australian Women’s team from 1984 to 1995, including two years as Vice Captain, Christina is able to combine her in depth knowledge and experience in sport with her vast business expertise. Christina has proven herself to be an effective and courageous leader since taking on the role of CEO at the WACA in 2012. She has redefined the way the WACA approaches its business, introducing a strong strategic focus, committing to community engagement, restructuring to ensure resourcing aligns with the Association’s strategic objectives, and managing change to ensure a successful future for the organisation. Her focus has also included increasing philanthropic endeavours and partnership development, both within the sports industry and in other complimentary business, to expand the WACA’s reach. Christina is leading the WACA through a period of significant change, which brings with it a number of exciting opportunities. This includes guiding the Association through a transition to the Perth Stadium, building the capacity of the business and ensuring staff and the WACA’s many stakeholders are involved in the journey. She is positioning the WACA Ground as a complimentary stadium to ensure the businesses sustainability, and focusing on upgrading the facilities to ensure the best experience for Members and fans, including more food and beverage options and outlets and improved comfort and aesthetics. A significant contributor to the development of cricket, she has spent many years supporting community cricket associations and is a member of the board of the Bradman Foundation, Life Member of the Sydney Cricket Association and the Sydney Cricket Club (formerly Balmain). Christina’s focus is not solely on cricket, also sitting on the General Council of the Chamber of Commerce & Industry, the WA Sports Federation and the Department of Sport & Recreation SD6 (Strategic Direction) Steering Committee, the Ministerial Committee for Women in Sport and is Chair of the Department of Sport and Recreation Champions of Change Working Group, which promotes diversity on boards. Christina previously held the position of Chair of Selectors for the Australian Women’s Cricket team and has mentored young sports women aiming to move into elite sport. Her compassion and understanding has driven a supportive culture and work environment, with a focus on well being and encouraging staff to reach their potential both personally and professionally. Outside of work, Christina loves to travel and often combines this with her passion for cycling. Her favourite destination is New York and she has completed cycling trips in Spain and south of France. In June 2016 The West Australian listed Christina in their 100 Most Influential Western Australians list.